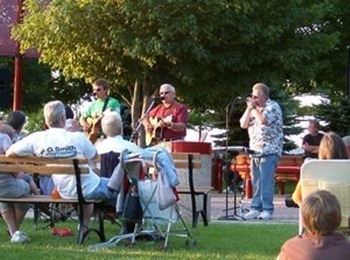 Sponsored by the Crooked Tree Arts Center, the summer long Concerts in the Park take place in Pennsylvania Park in downtown Petoskey. In case of rain, concerts will be moved to the Crooked Tree Arts Center's Ross Stoakes Theater. All concerts are from 12-1pm unless otherwise noted. Music in the park!